Craziest year ever. Not even sure what to write about it. 2014 looks to be more of the same. So many things. K’s dad. I hope he has a better 2014 than 2013. Same with K and her mom and her sister, L. And me. Too many things have been going on for so long, I can barely remember what is like to be able to think clearly. Tired of being so confused and tired all the time. It is not all bad. There are breaks. Every now and again, K and I get a day, or part of a day, off. I get more breaks than K, but when she is not here, I tend to spend all my time working. This year, our definition of “a break” has changed. We were noting that having some time to scrape the ice off the car and shovel it out of the snow now feels like a break. Work has been crazy for both of us. Pretty sure that my business will make more money than last year. Happens every year, but I still end up working very many hours for very little money. So little that it seems like madness to keep going year after year, but I am short on other options. It is very hard for me to work a “real job”. I know my job is a real job. I know that I am good at what I do. I work very hard. My web development skills get better all the time. Having a screencast addiction helps. But my business and organizational skills are almost non-existent. When you run a business, those skills are at least as important as being able to do your job. Maybe that is the difference between a hacker and an entrepreneur. My gross income this year is about $5K over the 2013 poverty level. This is due to a combination of undercharging, not charging at all, and a near complete lack of project management skills. At this point, after reading approximately a million articles about project management, business organization, and every other possible subject that may be of interest to freelancers and small business people, I am pretty sure that these are skills that I can not acquire. I need my ever elusive “Magic Business Partner” more than ever. On 2/4/13, Karen and I got legally married, 13 years to the day after our first date! In May, we had a great party with our families and friends at the Ottobar to celebrate our marriage. Special thanks to Chuck for making everything so awesome, to Colleen for making the best cake ever, and to everyone who came to join in the celebration, especially my parents who came all the way from Florida for the occasion. Every time that Karen and I have gotten to spend time together relaxing and/or having fun. They are few and far between, but nothing is better. Another year with Nikkyo and Buster. In July, I got a black belt after doing martial arts for 16.5 years. Several social occasions with new and old friends. Special thanks to Kim, Tarun, Lisa, and Dave. Co-working at Betamore for many months. Met some great people and got to go to the harbor almost every day when the weather was good. Lease on my computer ended and started a new lease on a maxed 15″ Macbook Pro retina. It is awesome! Learned Laravel. I have been learning Laravel for over a year. I will continue learning it, but I actually know what I am doing now. Once again, Komodo IDE tops the list. QuizUp – Very fun mobile trivia app. Bejeweled – Still an awesome distraction and mind-numbing tool. Sometimes I can’t talk, but I can think. Sometimes I can’t think, but I can feel. Sometimes I don’t fit in. Sometimes I am just like you. Never-ending attempts to organize the world into separate parts. When all things are one, everything fits together. When one thing is many, blurred lines clash, and overlap defies logic. An explosion of color and light and sound and texture. Every tiny detail is a universe I can get lost in forever. I try to learn your ways and to teach you mine. We all have something to learn and to share. After 16.5 years of doing martial arts, I finally got my black belt a couple of weeks ago. I am still a little shocked, but it is very exciting. I’ve been very close a few other times and have a collection of brown belts, but I had mostly given up on getting a black belt. 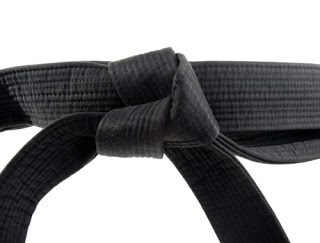 I love doing martial arts no matter what color belt I am wearing, but after 12 years of wearing a brown belt, it starts to seem like you have reached the limit of what you can learn. I am a slow learner. It can get discouraging when you are learning something with other people, and at some point, they all pass you and move on. Sometimes people who you used to teach become your teacher. Sometimes things are extra frustrating because no matter how hard you try, you can never make it to the next level. After leaving my first school (Tuyê’t Tan dojo in Berkeley, CA) due to a change in medicine making it too hard to go to night time classes, I tried a few other schools. It is the teachers that make the school. There are many styles of martial arts, and people will always argue about which one is “the best”, but I really don’t think it matters in most cases. I think that no matter what martial art you are doing, having a good teacher is the most important thing. I think if I kept doing Cuong Nhu, I would have gotten a black belt. Cuong Nhu is awesome in so many ways and I am very lucky to have stumbled into such a wonderful dojo with such amazing people. Those people are still my friends and I thank them all for being so patient and helpful to me for so many years. Had some not so ideal experiences with a few other schools, but didn’t find another great school until we moved to Baltimore a couple of years ago. Palanzo Martial Arts in Pikesville. Seemed random at the time, but turns out that Karen and several of her friends passed through there at some point while they were growing up. Once again, I was very lucky. Mr. Palanzo’s school is awesome. Mr. Palanzo, aka Mr. Joe, is awesome. Every instructor I have had there has been both a really great martial artist and a really great teacher. That is a very rare combination, even though you would think it would be a requirement in order to work at a karate school. Mr. Joe thought I could be a black belt, and I did not completely believe him. I didn’t think he was lying, but that he really didn’t have any idea how bad I am at learning. But he found ways to teach me, just like my teachers at Tuyê’t Tan did. It takes a special kind of teacher to figure out ways to teach students who do not learn in the standard way. Just being willing to try to figure it out is a big thing, and the appreciation I feel toward these people for doing that is really more than I can express in words. Thanks to Mr. Joe, Mr. Chris, Mr. Marcos, Mr. Tom, and classmates at Palanzo Martial Arts, and to Master Allyson, Senseis Amy, John, Raimi, and Anastasia, and Lavina and other classmates at Tuyê’t Tan. Special thanks to Karen, to my family, and to TC for above and beyond extra special awesomeness. WordPress will be 10 years old on May 27th, 2013. Hard to believe it has been so long! 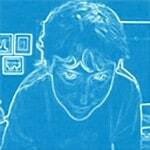 Dougal Campbell had a great idea to start the WordPress 10th Anniversary Blogging Project. I have been using WordPress since v 0.71 and it is still my favorite way to build a website. What better way to celebrate than to write a WordPress post?! I am hugely thankful to Matt Mullenweg and all of the other people who have helped develop WordPress over the years, and to all of the awesome people that I have met in the WordPress community! There will be plenty of celebrating going on all around the world. Find a celebration near you! Fully accepting that my partner’s autism shapes her world, but does not define all of who she is – she is autistic and also a web developer, a gamer, a cat lover, a music lover, a brown-belt in karate, a geek, a great listener, a vegetarian, a wife, a sister, a daughter, a friend. Her autism does not mean that she has no empathy; in fact, she is one of the kindest, most sensitive people I know. It means that I have to rethink the way I relate to and express myself to her – I have to be clear, open and honest more than I ever had to – or wanted to – before we were together. This has been one of the most difficult and rewarding things I’ve ever done and I continue to learn, screw up, relearn, over and over…and she lets me. Accepting my partner’s autism means that I need to socialize on my own, without her by my side sometimes. I need to watch out for her, to pay attention to make sure she feels included, is not too negatively impacted by sensory input or her environment. It means I need to be patient and understanding and that I need to try to explain things about the neurotypical (NT) world, much of which has no good explanation. Accepting my partner’s autism means that she also fully accepts me with all of my many flaws and idiosyncrasies. It means that I can revel and delight in the things that she shows to only me, because unfortunately, letting them out in an NT world can be embarrassing or detrimental to her. Autism acceptance means that I have to understand why people who are autistic are angry, feel disempowered, and are sometimes distrustful and suspicious of NT’s. It means I have met many wonderful people with autism who graciously welcome me and teach me things about myself. Autism acceptance means I need to recognize that there are many different ways to communicate and to express oneself. I need to put myself in my partner’s world and not just expect her to live in mine. 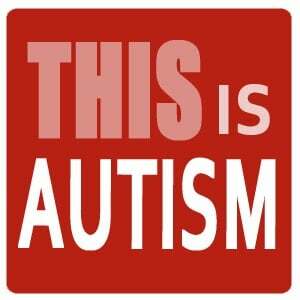 Autism acceptance has changed my life, exponentially, for the better. Over the past year or so, I have become enamored with the Laravel PHP framework and have a huge code crush on the soon to be released version 4. After attending Laracon in Washington D.C. a couple of weekends ago, I was inspired to start the Baltimore Laravel meetup group. I am compiling this resource list for our first meeting. If you have any favorite Laravel learning resources that are not on this list, please leave a comment! If I had to pick one word to describe 2012, it would be ‘busy’. If I had to pick 2 words, they would be ‘too busy’. Living in Baltimore is very busy. I don’t think I will ever get used to it. Work was way too busy for a while. It is great to have so much work, but also nice not to have to work every single second. Things have slowed down for the holidays and I have been enjoying the break. Karen got a very well-deserved promotion at work 🙂 It makes me very happy when she is appreciated for her awesomeness. I think she will like her new job a lot better and be able to put her many clinical and organizational skills to good use. Go K! I finally got my Maryland driver’s license! On my 4th visit to the MVA, I finally got the license that had been held up by red tape, paperwork, and ridiculousness for about a year. Luckily my California license was valid until my birthday this year. I got called for jury duty. I have always dreaded jury duty, but even my worst imagined scenario was better than how it actually turned out. My fears were about being locked in a room all day with no escape, being surrounded by people and noise, and not being able to speak when I needed to, but those ended up being the least of my problems except for the not talking part. When I got to the courthouse, I found out that there was a “Quiet Room” to wait in. It was great and for the most part was actually quiet. At some point, there was an announcement telling us to report to a judge at the courthouse across the street. Unfortunately, they didn’t actually mention that the courthouse was across the street, but just gave the address and the room number. Somehow I thought the room number was the street address and walked 8 or 9 blocks to find it. When I couldn’t find it, I returned to the original building and asked a guard to help me. He sent me to the right building, but the wrong room. I returned again and was sent to the right room by another guard. The judge stopped everything when I walked in and gave me a lecture about being selfish and disrespectful because I was so late. Sometime in the middle of the session, she started calling juror numbers, and I stood up when mine was called, prompting her to scold me even louder and longer than the first time. After more than an hour, the jurors were chosen and I was called up to the bench. My brain was too uncooperative to talk at that point, but somehow I managed to get a pen and paper to write on. I wrote that I couldn’t talk and that I thought that the room number was the building number and got lost. At some point, she stopped talking to me like I was a criminal and started talking to me like I could not understand English. Eventually, she sent me back to the first building to sign out. I never want to do jury duty again. Snow. It has snowed a few times and even stuck to the ground and cars for short periods. I missed snow. It is so nice to see it and to be outside in the cool crisp late autumn/early winter air! Karate. I still love my karate school. It is a great space and the instructors are all excellent. Since last summer, I have been especially lucky to have Mr. Joe Palanzo for a teacher. He is a great martial artist and a really amazing teacher. I have not liked a school or a teacher this much since my first dojo. It is 16 years later and I still feel lucky to have been a part of that school. I will always miss it. WordCamp. I volunteered at WordCamp Baltimore in September and WordCamp Philly in October, and had an awesome time at both. I got to meet some really great people, and even pick up a few new jobs. Looking forward to next year when I also hope to make it to WordCamp NYC. Laravel. I have been learning to use the Laravel PHP framework for the past few months and am really enjoying working with it. I am especially excited for the release of Laravel 4 and will be attending Laracon in February to learn more and to meet some folks in the Laravel Community, including my favorite web dev tutorial guy, Jeffrey Way. Those are the highlights; at least the ones that I can remember at the moment. Thanks to all the great people here who continue to be very welcoming and warm. Thanks also to K’s parents who have treated me like part of the family and been so good to me.